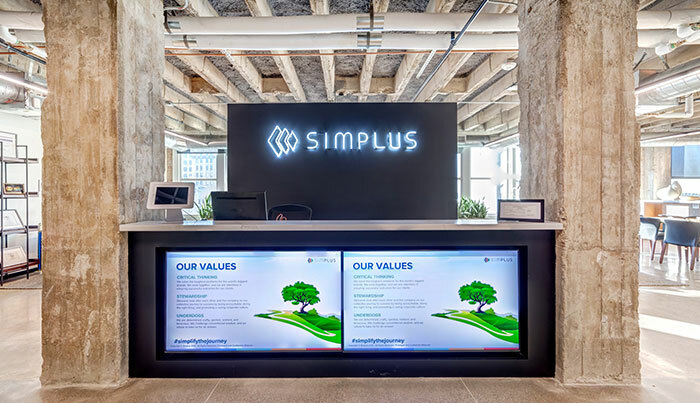 Simplus | The Technology Headlines: Simplus is a best tech place to work! 14 Jan The Technology Headlines: Simplus is among the best tech places to work! Simplus has been recognized as a top place to work in the technology industry by The Technology Headlines, a knowledge and news platform for the IT community. We are honored to be on this list alongside Buchanan Technologies, GBS Corp, Intellectsoft, and many others. The Technology Headlines chose to feature a select group of tech companies that exhibit strong, positive work cultures and use this asset to provide quality service to their customers. All of us at Simplus feel privileged to be recognized for our hard work in this way. As part of the recognition, The Technology Headlines interviewed our CEO Ryan Westwood to learn more about what makes the Simplus culture a force to be reckoned with and how it benefits our clients. But that restlessness and quality service doesn’t happen overnight, as The Technology Headlines notes. Focusing on company culture before anything else is what gives Simplus the fuel to do what we do. “If you focus on improving your employee culture, productivity and efficiency fall into place,” says Ryan. As The Technology Headlines writers said, Simplus “has quickly become a trusted and compelling provider of digital transformation.” Thank you to our employees and customers for creating the culture that makes it possible, and thank you to The Technology Headlines for this recognition. At Simplus, it’s our never-ending goal to simplify the journey for everyone. Want to be a part of it? Join Simplus now!